This book is not just for soldiers who have fought in Helmand and in other conflicts. It’s a very engaging account in the voice of a soldier that should be read by all those interested in the world about them, and especially by civilians involved in any way with conflicts. Chris Green is certainly very blunt about one and all, about their strengths and weaknesses and about how they deal with often very difficult, sad or indeed absurd situations. He is also very engaging about his own thoughts day by day, making poignant observations on often very serious issues, told with colourful examples. Let’s hope this book is available, especially on bookshelves, for many years to come, as the valuable insights on its pages are well worth heeding – and very enjoyable to read. 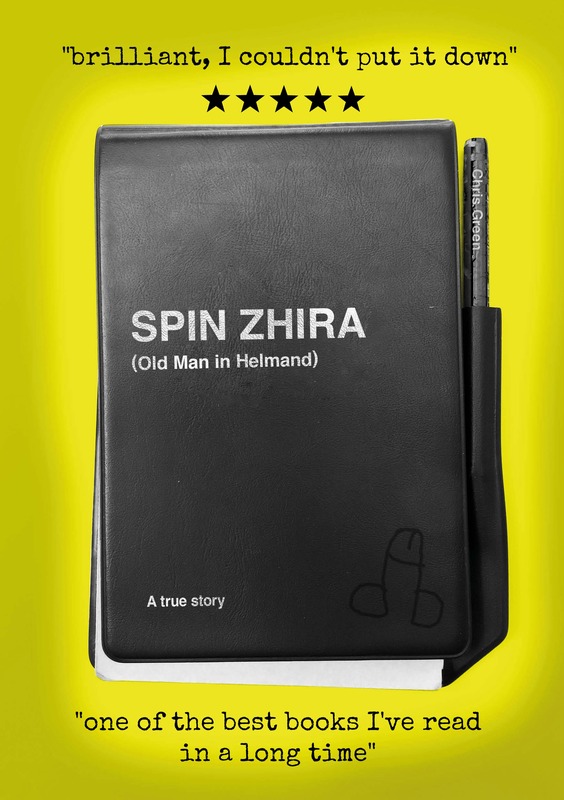 SPIN ZHIRA: Old Man in Helmand. A true story of love, service and incompetence. Guaranteed to make you laugh and cry or your money back (but check the smallprint first).